Did you ever wonder in the next 10 years could some countries might disappear? Probably not! However I would imagine the title and content will raise a few eyebrows. 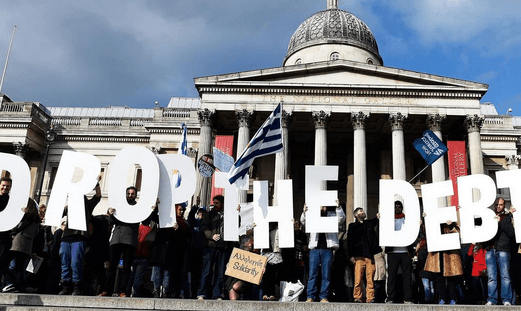 There is a bit of uncertainty around Greece at the moment but what about the rest of the world? From the great success we had with our passport article we have compiled this list of the top 10 countries that may not make it over the next 10 years. We have summarized each country as best we can into bullet points. **** Remember this list is speculative, and just because a country may collapse in 10 years, doesn’t mean that it will, or that we want it to. The information and data is collected from varied sources(see below). 10. Spain – Since 2008 this country has been in major turmoil. Catalonia has a thriving independence movement with a lot of support. Many in the Basque region are currently fighting for independence. 9. 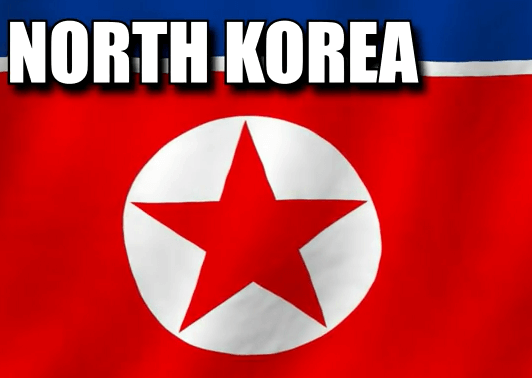 North Korea – It is no secret that North Korea is falling behind in technological advancement. It doesn’t have enough resources in its borders to survive the 21st century. At some point North Korea will need to leave behind its isolation and expand trade with co-operative countries. There is a slight chance Kim Jon-un will attempt Chinese style reforms in an attempt to copy China. The current government holds onto power very tightly and one mistake could end his rule. 8. 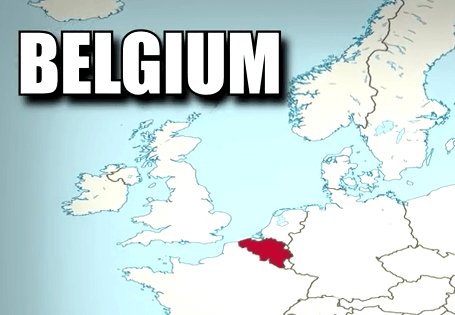 Belgium – Currently their citizens are deeply divided among ethnic lines. Wallonia is in the south of Belgium, dominated by French-speaking people. In the next 15 years there could easily be two new countries in Europe, Flanders and Wallonia. 7. 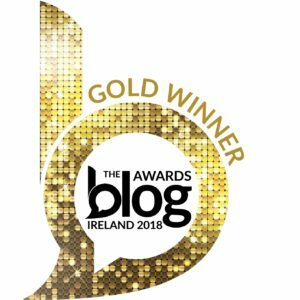 China – Yes you read right. Despite having the largest military in the world and one of the most powerful economies this made the list. 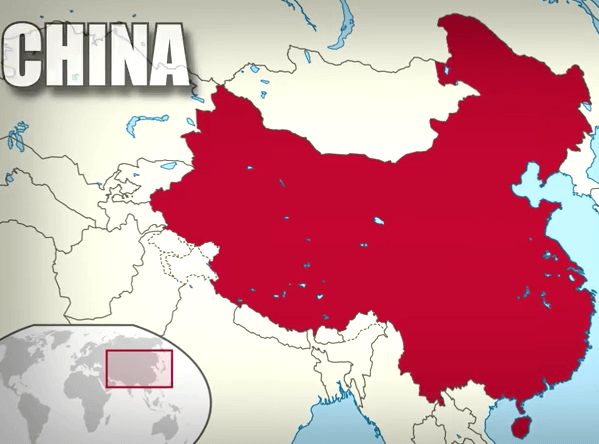 Many of China’s problems stem from the outright destruction of the country’s environment. Unfortunately, serious environmental damage has accompanied rapid growth. Half of China’s rivers and reservoirs are polluted beyond what is considered safe in any form of human consumption. The Chinese government issued a statement that by 2030 it will have used all of its drinkable water. Disaster may just be around the corner for China. 6. 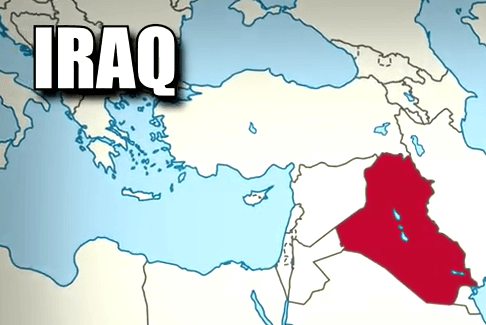 Iraq – The rise of Islāmic state has brought international attention to the deeply rooted divisions in Iraq. The country is quickly falling apart following Saddam’s oppressive leadership. 3 groups dominate Iraq – The Kurd’s in the North, the Sunni’s in the West and Shia’s in the South. The Islāmic state would have to be defeated and the Sunni’s, Kurd’s and Shia’s would have to live under one nation again. 5. 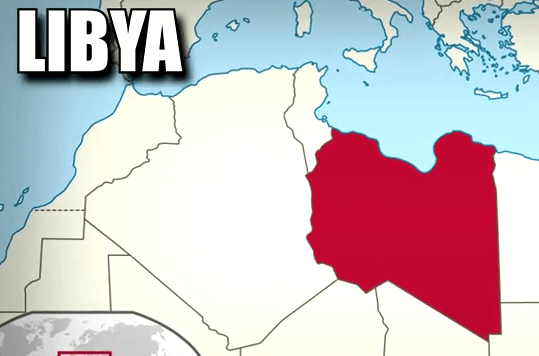 Libya – Similar to Iraq it is also an artificial creation of a colonial era. It was an Italian colony until 1951. Since Gaddafi’s fall in 2011, the country is now fracturing. Before the Italian occupation Libya did not exists and the country was divided into 3 regions. Tripolitania, Fezzan and Cyrenaica. The people of these regions are very loyal to their roots and it is likely a unified Libya will survive the current second Libyan civil war. How much does Greece actually owe? 352 Billion dollars! 8 and a half billion of this is due in August mainly to the European central bank. It’s a real enough risk that, for the first time in a long time, there’s a little contagion in Europe’s bond markets. Time will tell how the country deals with this massive debt. 3. 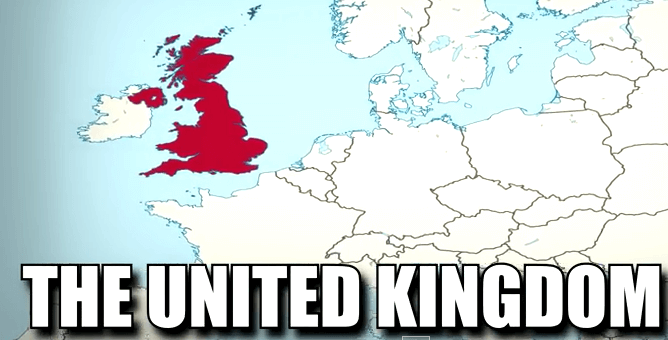 United Kingdom – Another very surprising country to make this list. Scotland may of failed to gain independence in their 2014 referendum but the Scot’s won’t give up their quest for Independence so easily. There is a simmering movement in Wales and Northern Ireland that seeks autonomy and possibly independence for these regions. If any of these did gain autonomy from the union it is quite possible the union will fall apart. 2. United States Of America – Many of the divisions that caused the civil war in the US still exist to this day. If these deep rooted political and cultural differences within the United States aren’t rectified it’s possible some states could break free in the next 10 years. 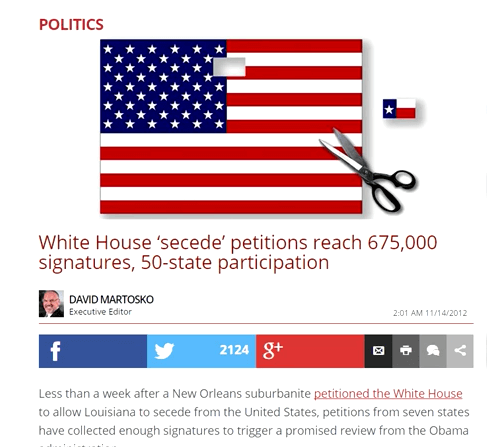 As recently as 2012, 50 states submitted petitions with 100’s of thousands of signatures asking to secede. 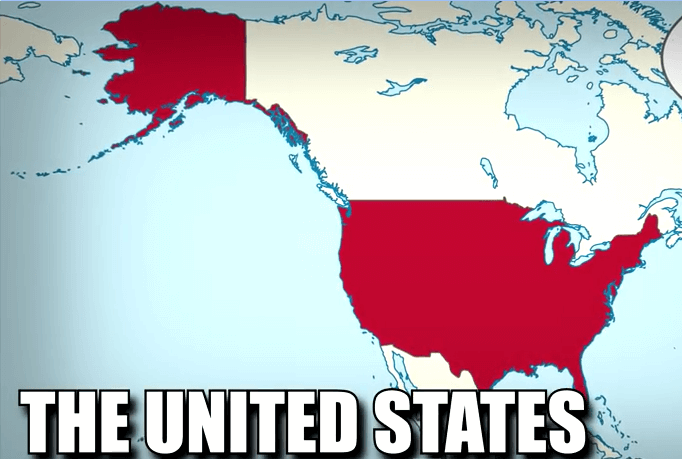 The two most likely to leave would be Alaska and Texas. Watch this video if you don’t believe me. According to the OECD, general government gross debt (federal, state, and local) in the United States in the third quarter of 2012 was $16.3 trillion, 108% of GDP. See this crazy debt clock. It is now estimated at $18.2 trillion. This could set a chain reaction leading to the break down of the United States. 1. 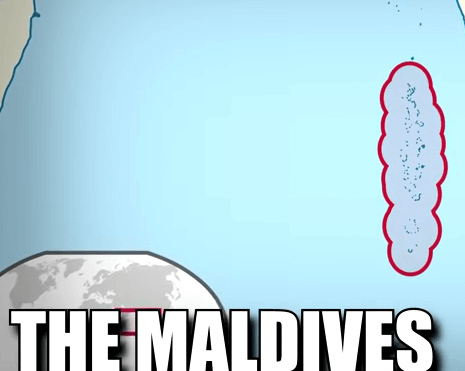 Maldives – Located between India and Africa the island nation of Maldives is in extreme danger of sinking(literally). Rising sea levels mean this country is at a high risk of flooding. The former president of Maldives looked into buying land in South Asia to transport all the residents of the Maldives before the islands are submerged. Once again we DO NOT want any country to not be there in the next 10 years. Chances are most of the above will never ever happen but at the same time what is stopping it from happening. Other countries that we feel could of made the cut: Pakistan, Venezuela, Ukraine and Canada. What do you think about the above statistics? Crazy? Not so crazy? We are crazy? Leave your comment below and thanks for reading!